Built in 1884, the Serp & Molot steel factory in Moscow was a stronghold during the Russian revolution.In the past decades it fell into disrepair – unused and overgrown with plants. 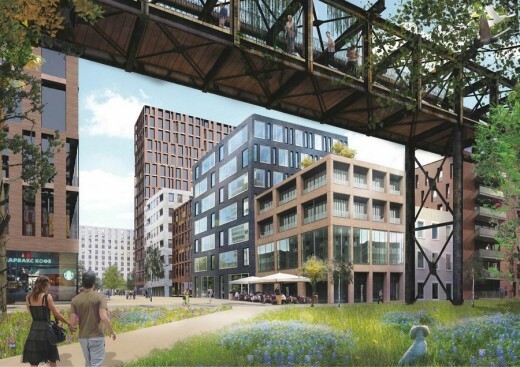 How could the remarkable history of the steel factory be combined with the demands for the creation of a new, attractive, modern urban neighbourhood in the centre of the Russian Capital? 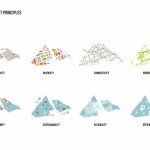 MVRDV’s winning scheme builds upon the current layout and identity of the site. By taking the characteristic factory streets, buildings and objects as starting points, a new layer is added to the neighbourhood. Historical structures such as large chimneys and pipes are preserved and other structures are integrated into new buildings. Large factory halls are replaced by urban blocks that follow the footprint of the old factory with additional green courtyards. By partitioning the blocks further into segments and applying different densities the plan diversifies the area. Ground floor spaces are reserved for public facilities and retail. 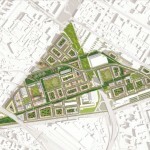 This leads to a vivid, green, complex and highly dense urban plan which strongly respects the character of the site. 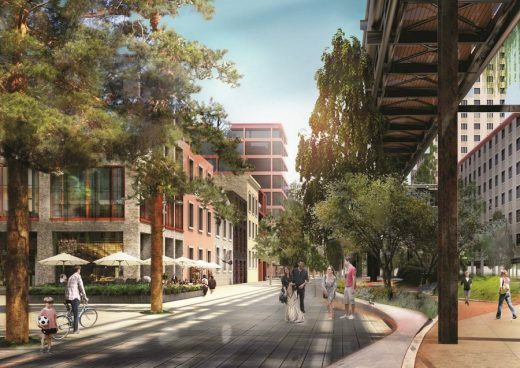 An existing factory transport ring will be repaired and become part of a park that will form a three-dimensional spine for the new neighbourhood. 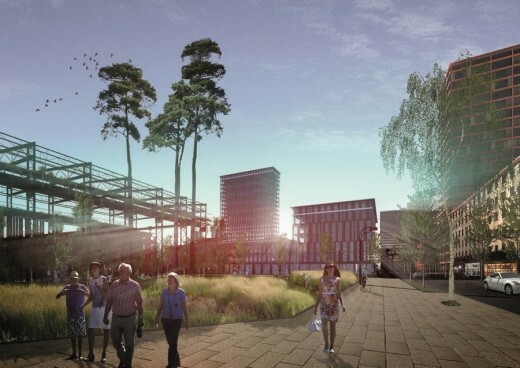 This public urban space will house playgrounds, sports facilities, open air markets and pavilions. Schools and day care centres are connected to this ring park. On top of the transport ring a sky walk can be made in between the tops of the trees, overlooking the surrounding neighbourhood. Next to housing, offices and retail the new neighbourhood will also include schools and a local hospital. 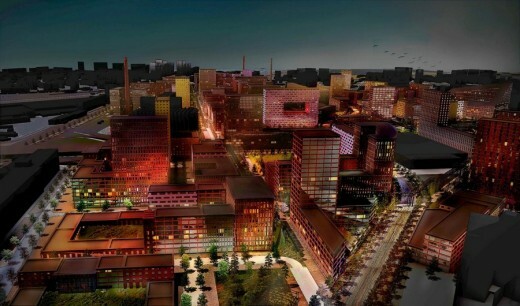 The urban quarter will be developed in phases and create space for 19.000 inhabitants and 16.000 work spaces. It is envisioned to be completed in 2021. The total investment is estimated at 180 billion Rouble. The Serp & Molot competition was organised in two rounds. Last November the participants of the second round were chosen: LDA Design (UK), Ateliers lion Associés (France), Mega Project (Russia), De Architecten Cie. (Netherlands) and MVRDV (Netherlands). 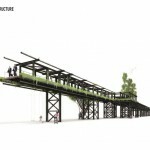 The winner was selected by an international jury consisting of leading experts in the fields of urban planning, infrastructure and landscaping from Russia, Denmark, the USA, France, Spain, Japan and Germany. 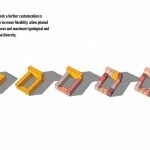 For this competition MVRDV lead a consortium consisting of Proektus (Moscow) and Laplab (Rotterdam). MVRDV has worked on a number of urban regeneration schemes in which the history of the place is translated into a contemporary plan. Aspects of the traditional European city such as green public spaces and intimate streets are also introduced in MVRDV’s other projects such as ZAC Bastide Niel in Bordeaux and a port transformation in Caen, Normandy.